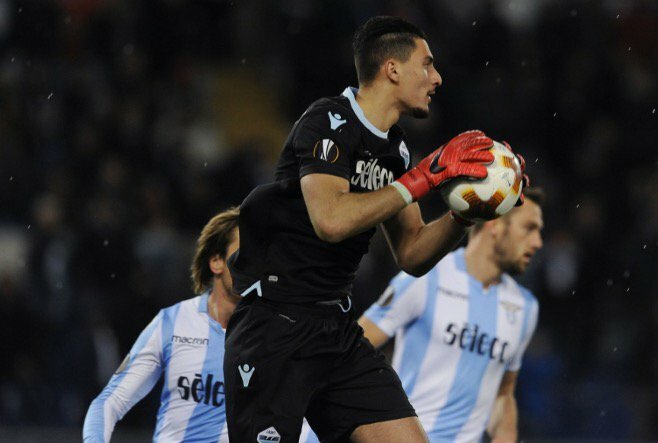 Tottenham Hotspur have reportedly identified Lazio goalkeeper Thomas Strakosha as a potential long-term replacement for Hugo Lloris, according to The Sun. Lloris, 32, made another mistake on Sunday as he gifted a late goal in their 2-1 win at Liverpool. Despite his error, Spurs head coach Mauricio Pochettino has vowed to stick by his captain, who he describes as “one of the best” in the world. That will not stop the Lilywhites searching for a new long-term successor, though, and the aforementioned report suggests that Strakosha could possibly be brought in the summer transfer window, having been scouted by the North Londoners for a number of occasions. The Serie A outfit are said to be holding out for around £35m for the 24-year-old Albanian as he still has three more years to run on his contract.